How excited am I to be able to show you, perhaps, your first look at these!! 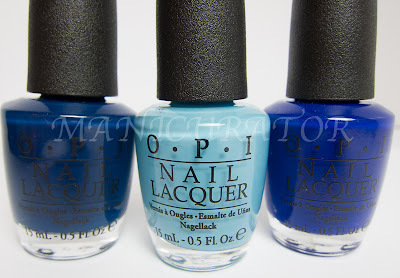 I am the lucky recipient of the new blues, not yet released, from OPI's Spring 2013 Collection. Someone very close to me was working with a magazine's editorial team and was able to (with permission!) gift these to me! Yes, I am beyond thrilled!! Can't Find My Czechbook. A stunner. I'm a sucker for blues, as much as pink might be my favorite color..blue is my favorite nail color. A perfect aqua-ish light blue. OPI...Eurso Euro. I'm crazy in love with this one. Superb application. A bright medium blue. I Saw...U Saw...We Saw...Warsaw. 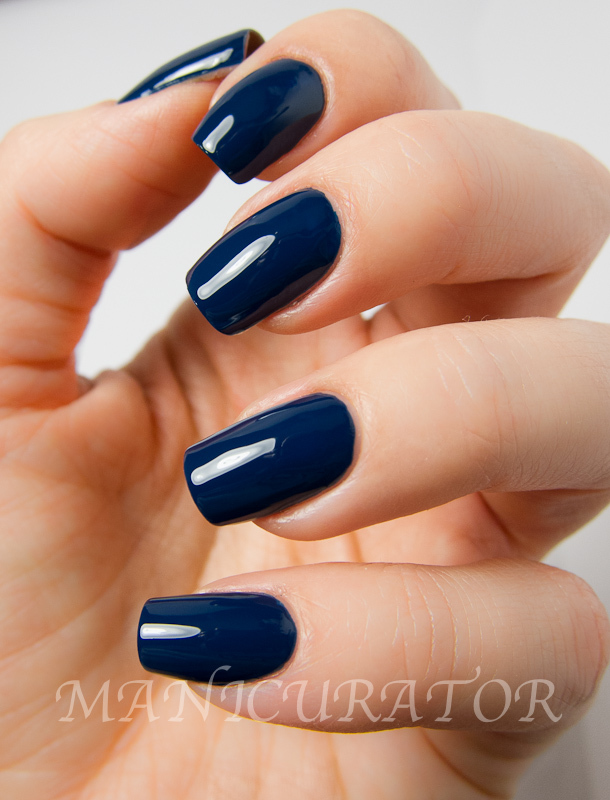 Gorgeous midnight blue cream. Oh my god, how lucky you are!! The blues are the polishes i'm looking forward most to! And damn it, i think i'm gonna need all three of them when they come out, because they're just beyound gorgeous. YES! YES to all of these! Beautiful swatches!!! I can't wait to buy these! I love them all (a lot! ), but I can't help but think that I already have similar shades in my collection. So what? :) Buy them! Amazing, love it!!! 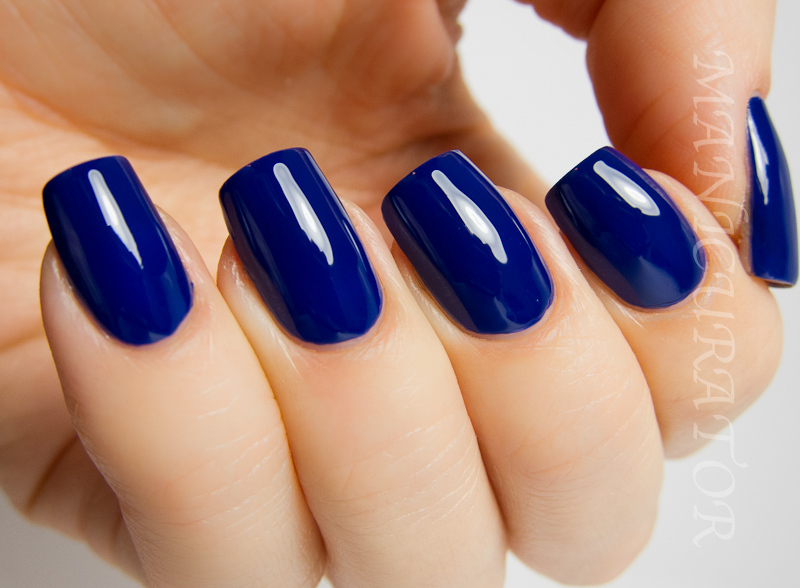 Blue is also my favourite nail polish colour, and my favourite colour overall. I really love all three of these, as I was going through them, I was just like yes...yes...YES!! Yeaaahhhh, gonna need ALL of these!! Great swatches! I need them all! And I'm pretty sure I have dupes for the two darker ones, but I don't care! THESE ARE SO GOOD THEY MAKE MY ANCESTORS COME BACK FROM BEYOND THE GRAVE! OMG I'm dying over OPI...Eurso Euro, absolutely GORGEOUS! I'm such a sucker for blues like this. I love blues so much!! How does OPI...Eurso Euro compare to Revlon Royal? I thought of Revlon Royal when I saw that too! You're so lucky! I'm totally a blue fan like you, and these are all so so pretty! I agree that they're timeless. I can't wait to wear these myself! Loving how bright OPI...Eurso Euro is! Lucky you, sounds like a good friend! Lol. Yup, it's official: I need every once of these blues!! LUCKY YOU that you got your hands (err, nails...) on them!! GORGEOUS swatches, as always! Absolute no brainer that I need all of these! These look pretty on you. Must buy all the blues... Fantastic swatches as usual, Victoria! Love that all of these bold beautiful blues will be IN for fall!!! I'm so jealous! Your swatches are beautiful. I Can't Find My Czeckbook is my favorite. 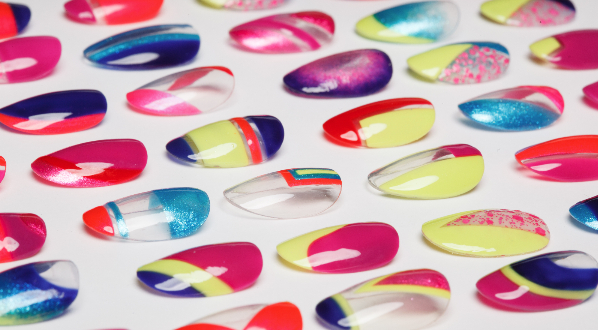 I will have them all and they will all be mine and I will put them on my nails and we will live happily ever after! OPI Eurso Euro is my favourite. And I'm such a sucker for light blues, I think they just look so flattering on, so I probably need I Can't Find My Czeckbook too. Warsaw looks similar to CG First Mate? I guess it's brighter though. Holy Toledo!! These are gorgeous!!! 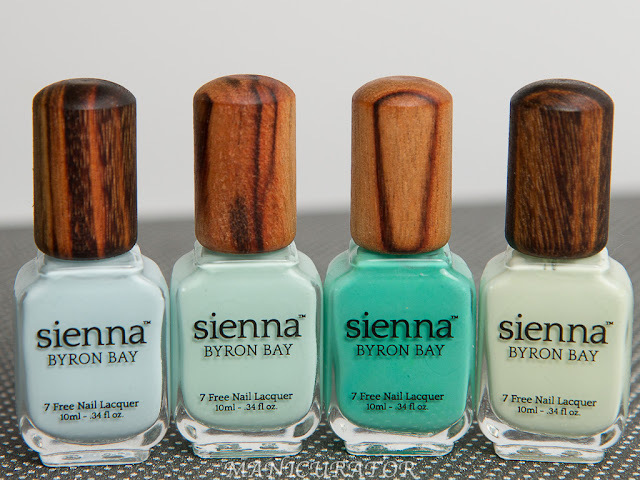 Awesome, Victoria, you lucky gal :) Your swatches are beautiful, you make each of these look so special! It's hard to pick a favorite, but the midnight blue is really speaking to me. Curious, is Eurso Euro a jelly/crelly? Wow, I love blue... These are amazing! Love all three. OPI...Eurso Euro looks very much like Revlon Royal. 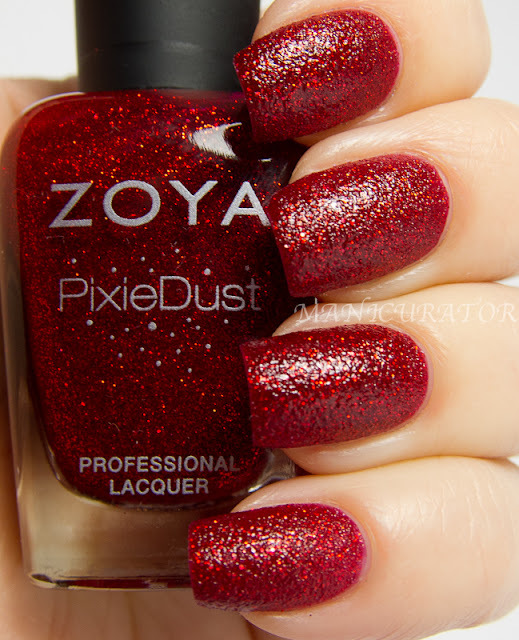 Fabulous swatches, you made them sing! When do they hit the shelves? Love them all but I Saw...U Saw...We Saw...Warsaw immediately caught my eye! These are all amazing! I love the first one best though! I can't wait for this collection now! How does OPI Eurso Euro compare to Nails Inc Belgrave Place? I love blues too, but my one concern/hesitation is staining. How did these do with that? How do you think Eurso Euro compares to Revlon Royal? I'm debating which one to get and I'm leaning towards the OPI. What's the application of Eurso Euro like? Giving Thanks for You Giveaway!! The week Hurricane Sandy came to my home town.